Adam Capay's story of being held in solitary confinement for over 1,500 days is only the tip of the iceberg. 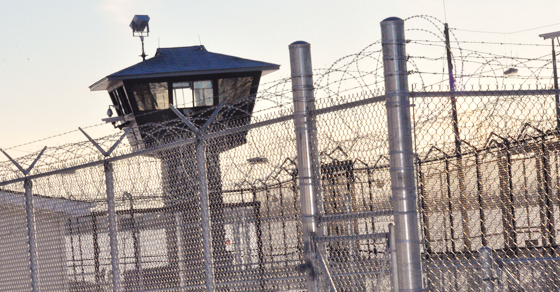 How did Ontario’s prisons get this messed up? Shock and outrage followed recent headlines detailing the treatment of Adam Capay, a 23-year-old indigenous man who was kept in solitary confinement for over 1,500 days – the United Nations considers anything more than 15-days to be torture. Ontario Premier Kathleen Wynne calls Capay’s treatment “extremely disturbing,” although a member of Wynne’s cabinet actually knew Capay was being held in solitary confinement for months. In fact, Capay’s story is only the latest in a long line of extremely disturbing stories to emerge from Ontario’s prison system under the watch of Wynne’s Liberals. Several cases in only the last few years suggest a pattern that raises serious questions about the role of Liberal ministers in a number of problems ranging from prison overcrowding to inadequate health care – not to mention human rights violations. In 2013, the Ministry of Community Safety and Corrections’s own research showed nearly half of Ontario’s jails were overcrowded – with 14 of the province’s 29 jails holding more prisoners than they were designed for. Earlier this year, multiple reports emerged that inmates at an Ottawa-area detention facility were forced to sleep on wet shower room floors because there wasn’t enough space in regular cells – inmates said they had to towel off the floors before they could lay their mattresses down. In May, Ontario Ombudsman Paul Dubé reported a “marked increase” in cases of inmates being held in solitary confinement for periods longer than 15 days. While the government doesn’t keep track of how many inmates are placed in segregation, the watchdog found 1,677 segregation admissions in just five months of 2015 at the Ottawa-Carleton Detention Centre and the Central East Correctional Centres alone. His office has also received 557 complaints about segregation in provincial jails in the past three years. Noting that solitary confinement can have “profoundly negative impacts on inmate health and welfare,” Dubé called on the government to abolish indefinite inmate segregation, with restrictions on segregation exceeding 15 days and an outright ban on keeping inmates in isolation longer than 60 days. The 2014-2015 annual report from the federal Office of the Correctional Investigator found that 14 out of the 30 suicides in federal prisons between 2011 and 2014 took place in a segregation cell. She said that some prisoners arrive with diseases or conditions ranging from epilepsy or high blood pressure to cancer, and that treatments and medication are sometimes withheld. Does anyone trust the Ontario Liberals to change the same campaign finance rules they exploited? Finance Minister Bill Morneau delivered his fall fiscal update Tuesday afternoon. 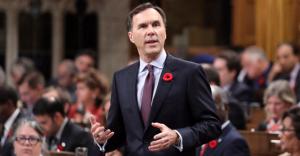 The good news is Morneau announced the creation of a new “Canadian Infrastructure Development Bank” that will invest billions of dollars into infrastructure.